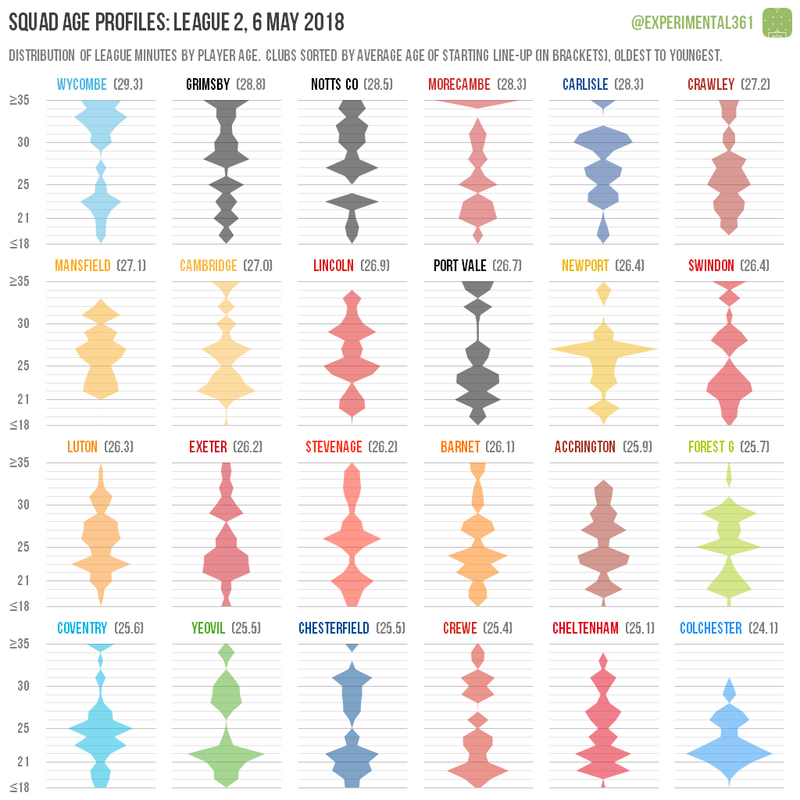 Continuing today’s onslaught of end-of-season graphics for League 2, here’s an updated version of the squad age profile graphic. Promoted Wycombe were the oldest team in the division, with their line-ups averaging over 29 years old on average. They may therefore have more to do in the transfer market this summer than either Luton or Accrington, whose average ages are each around 26. Mansfield put the least faith in youth, with only a combined 51 minutes racked up by players aged 21 or under. Given that the next lowest in the division was 3,428, it’s safe to say that Steve Evans didn’t approach that role with a long-term view. Colchester fielded the youngest players by far, with an average age of just over 24. The mere 2.5% of playing minutes accrued by players in their 30s was the lowest in the whole EFL.